Buying a drone has become significantly affordable in recent times. As more and more drone enthusiasts emerge, drone prices have gone down as well. Nowadays, it’s possible to buy a drone for less than $50 still give out the best quality. 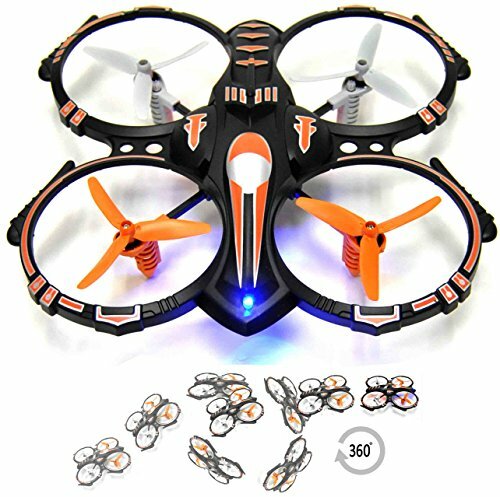 For example, 1, the Syma X5C Quadcopter, topping the list because of its price and performance. Do be aware that, low-cost drones are usually mini drones. They will fit in the palm of your hand and will be able to buzz around for hours taking low-pixel rated photographs and videos. Though these low-cost drones may not have the capability of more expensive ones, they are still quite useful. Hobbyists use cheap drones for flying around, taking aerial shots and for generally having fun. If you are a tech person, you can use a cheap drone for experiments, as they are easily modifiable and don’t cost a fortune to replace. The Syma X5C is by far the best cheap drone I could find. Its main feature is a 6-axis Gyro stabilization system, which makes flying more stable considering the small size of the drone. This model is suitable for both indoor and outdoor use. I noticed significant wind resistance with this one. Assembling right out of the box was super simple. The camera is only 2MP, so this drone is good for taking low-res pictures. However, if you are a photography nerd, you can modify the lenses for truly amazing shots. This is definitely one of the best drones under $50. 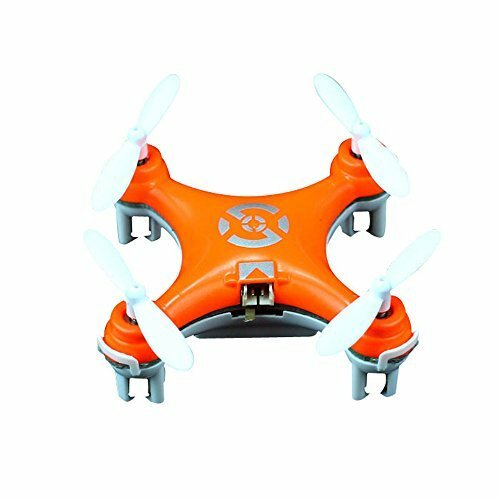 This is another quadcopter that may look like a little toy, but performs powerfully. It’s designed to be easy to use for beginners. The model I got came with a remote controller, a USB charger, 2 rechargeable drone batteries, a practice landing pad and extra blades. The blades rotate so powerfully, when I operated this in my backyard, they managed to cut through some tree leaves. It could fly about 50 meters above ground. Flight time is quite disappointing. Each battery adds about 6 minutes. With both batteries, this only lasts in the air for 12 minutes. 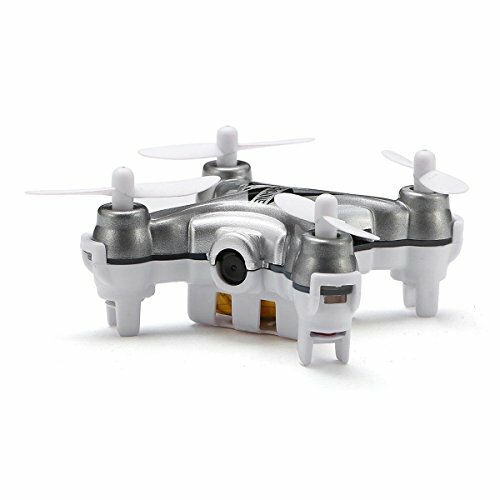 This is a small and compact nano drone that comes equipped with a 2MP camera capable of taking photos and videos. Unlike others, this tiny drone has a neat trick up its sleeve: keep it hovering and move the left stick side to side, and the drone does a high-speed gyroscope spin. It’s really cool. It’s hard not to love this model, especially when it comes with three flight speeds and a night light as well. The only downside is that the batteries need to cool down about 20 minutes between each session. This super cool is easy to fly and is very stable thanks to the integrated 6-Axis Gyro Stabilization System. This is possibly the fasted drone I have flown on this list. I really liked how responsive it was. The drone has three speeds with different yaw changes. Overall, this drone is quite docile. There’s an LED light under the body to support night flying too. It has been noted that this drone does not come with a camera, and if you want one, you have to fix it yourself, which will add extra bulk. 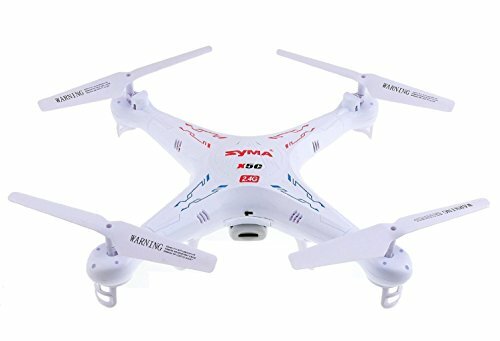 I recommend this super cheap drone for beginners or kids for their first birthdays. It comes with three flight modes with different maneuverability levels. The flying is quite stable. While this drone performs well, it’s breaks easily. I broke it after flying like three times. If the blades hit anything at all, the will break. Getting a prop protector ring will keep the drone safe for crashing at least temporarily. As long as you are willing to sacrifice quality for price, this will be a good option. When you are trying to find the best cheap drone, it’s important not to allow expectations to go too high. Low-cost drones are small, don’t last very long and have limited flying abilities. That being said, they are still total fun to have around the house. Before you make a purchase, read carefully through all the specs. Then read customer reviews. You will notice that drones priced the lowest have the shortest life spans. The features don’t dramatically increase with the price. If a drone is priced close to $100, it’s most likely because the camera is high-def, or Wi-Fi connectivity is available. If you are an absolute beginner, first buy a drone for dirt cheap for under $50. 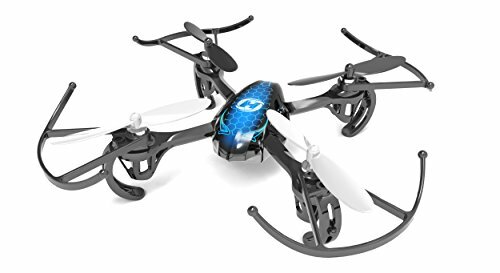 You can use this starter drone to understand how these gadgets work, so next time you can have a good idea what works and what does not.